Stop by our office tomorrow at 301 North Cameron St., Winchester, VA for our Open House! 2018 is Healthy Families Northern Shenandoah Valley’s 20th Anniversary serving the local community! We will have refreshments and will be doing a raffle for a $25 Martins Gift Card. 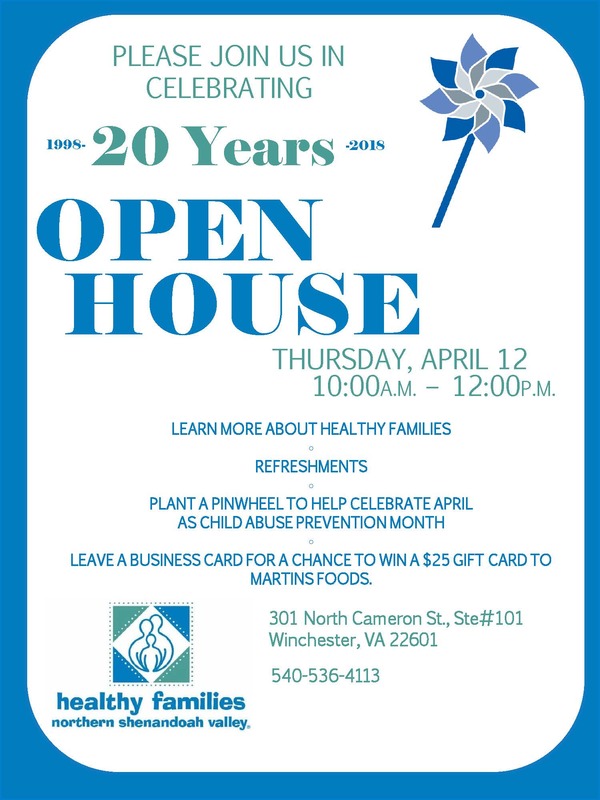 Come by and learn more about our program and plant a pinwheel to celebrate April as Child Abuse Prevention month! ← Healthy Families Warren County Pizza & Parenting – Family Fun May 16th!